Because of what is happening around you harmony and peace seem far away, yet gradually the turmoil will become less and in just a relatively short time peace will settle upon the Earth. It is because of the coming of the New Age, and it is lifting the vibrations more quickly. These changes were always going to accompany this period, with the ultimate separation of those who are ready to ascend from those who are not. This is inevitable as the vibrations increase to the point where only those souls who have reached the same level can remain within it. It is the culmination of many thousands of years experiences through many lifetimes in different Ages. The end of a cycle is an important time, when all souls decide how well their life plan has furthered their evolution, and if they need to repeat any particular experience. Most of you are well advanced and will be ready to move to the next stage of your evolution, with the help and advice of more evolved souls. Many will stay with the Human Evolution, but some will elect to join other species that may take them to another planet. You would of course incarnate into a suitable form for that experience. Those continuing their experiences on Earth in the 4th. dimension will find that life takes on a completely new look, and that it is in a harmonious and happy time. Gone will be the dark Ones to follow their own pre-destined future, and be given another opportunity to return to the Light. You have little idea of the happiness and fulfillment that awaits you, and it will far exceed your expectations. It will be your reward for having come through the darkest period of your life, and having successfully found the Light once again. A few of you will find that some of your friends or relations have failed to make it into the higher dimension. Have no fear for their future as they will be exactly where they can proceed and make progress towards the Light. In your position you will be able to learn of their progress, and visit them when they are out of the body through their sleep period. Whilst you will be able to retain the memories of such meetings, they will return to their dimension with no waking memory of them. At present you are awakening to your true potential as your level of consciousness expands, until in the near future you acquire full consciousness. Be assured that many helpers are already prepared in readiness to help you take your place in the higher dimensions. Life is a continual opportunity to evolve and at every stage you have many helpers. It is always the responsibility of those that have evolved to assist those who follow after them. As like souls come together so their consciousness becomes as One, but be assured you keep your individuality at the same time. We know so many of you are weary from your experiences, and it is not surprising considering the dense vibrations that you exist within. It is why you receive so few visits from Beings in the higher dimensions, who find it a most unpleasant heavy vibration to be in. Equally you will be so uplifted when you enter the higher dimensions, and enjoy all of the advantages associated with them. Make no mistake, that when you elected to help those souls trapped in the lower vibrations, you knew what a difficult task it would be. However, you were assured that that no matter how far you dropped, we would always be their to help you return to your rightful place. Dear Ones, your sojourn in the lower dimension is all but over, and you will emerge far greater than when you first entered it. Your experience will help souls who can benefit from your experience, and you are to be commended for your great sacrifice to benefit other souls on the path of Light. I am SaLuSa from Sirius, and full of admiration and gratitude for your unselfish acts to assist your fellow travellers. You are All One and linked in ways that are everlasting, and you will continue to assist each other on your great journey through the Cosmos. Your sacrifice has its own rewards as you see souls move into the Light and awaken to their true selves. NOTE BY NANCY: Several months ago, Mike Quinsey had a small stroke. Since then he has been regaining his capacity to channel SaLuSa, as he had done for years. 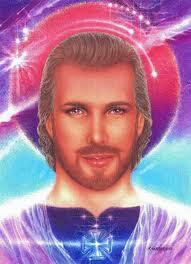 He will offer a channeled message from SaLuSa every other Friday. We are happy to have you back, Mike! The fact that much is happening in your world has not gone unnoticed, and for those who are just awakening to it, it seems that chaos reigns. Your traditional trusted institutions such as your banks are being seen for what they really are, but as yet the answers to their problems have not surfaced. However, the plans to cover such an eventuality as their collapse have been formulated. As with much of our allies work, it is ready to be implemented and waiting the right opportunity to be introduced. The old corrupt system will not be retained, and the new one is receiving support for the far reaching changes that it will bring. Indeed, re-location and help for people out of work due to any circumstances at all, will mean an acceptable standard of life that will cover your needs. In any event, after Ascension your life style will change to one that no longer causes worries or stress. You will have all of your needs supplied including suitable accommodation and medical care. There is naturally a certain period of time required to carry out all of the changes, but they will happen quite quickly. We have fully prepared for all eventualities, and the basis for the changes has already commenced that is establishing the right structure that will allow us to go ahead. The level of your mass consciousness continues to rise, and more people are awakening as a result. However, many are still in limbo and do not even contemplate what the changes herald. We would rather they awakened gradually but there will come a point before Ascension when the truth must come out. Somehow the old beliefs must be shaken up and shown for what they are, but even so we do not want people to re-act the wrong way. In the final reckoning whatever is believed will be down to free choice, and such souls will continue their experiences in a vibration that is the same as theirs. There is no point in trying to force people to accept what they are unprepared for, and that is not our way. Bear in mind that we of the Galactic Federation of Light are here by divine request, and our whole objective is to prepare you for Ascension. With it comes other responsibilities, as it is desired to make the path as smooth as possible. The coming of the end times has been known for a very long time, but it is only in recent times that it has become fully understood. The end of duality as you experience it is due to end very soon, and our work and that of our allies is to ensure that you and Mother Earth will be ready to ascend. Much work has already been carried out and you will see the outcome resulting from it. You are at a stage when just anything could happen at short notice, and it will not be unexpected. We press on with our activities that include keeping watch on any country that has nuclear weapons, to ensure that they cannot be used. For us with our advanced technology that is quite a simple task, and we believe the military now realise it is futile to try otherwise. We have so to say, removed the teeth from the tiger, but it still has claws. We have at different times approached all leaders with a view to completely banning such weapons, but there is so much distrust between them it could not be achieved. However, it will not matter anymore as world peace will be established before very long, and wars and anything associated with them will disappear for good. Already the vibrations upon Earth have lifted up your consciousness levels, to a point where you can see the that wars are a crime against Humanity. As a result the movement towards establishing peace has never been as strong. It has given rise to many large demonstrations seeking freedom to determine your own future, and that call is being answered. The days of rule by dictatorships are numbered, and you shall be represented by souls who care and love their fellow travellers. Your journey from hereon is heading for Ascension that will bring all of those improvements and benefits that you have been promised. We know some of you are tired and fatigued by the pressures of life on Earth, but realize that you are soon to be the recipients of abundance and other very acceptable changes. You could view them as a reward for your dedication to the Path of Light, and your upliftment to the higher dimensions. It is so vastly different to what you have been used to, and only souls of Light will be able to take such a quantum leap forward. So please keep you focus on all things that are associated with the higher vibrations, because they are pure and wholesome. 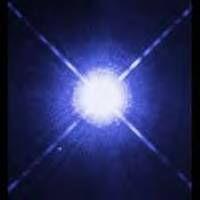 I am SaLuSa form Sirius, and looking at your Earth from afar and pleased to see so much Light coming from it. Keep it coming, as the end of your cycle is here now and you are victorious.